The opening line of our presentation was a shocker, and it was written all over the crowd’s face. Despite the thousands of people that die a year, parents especially, still continue to text and drive. 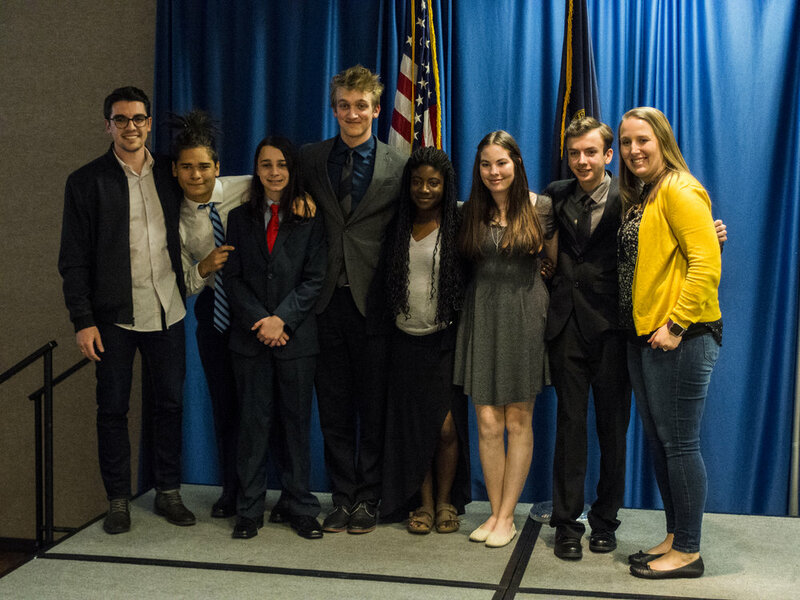 Just a month earlier, we were filling out applications to compete at the very competition we were now attending: The Idaho Entrepreneurial Challenge that was hosted by the Boise State Venture College. To compete, we’d have about a month to plan and create a pitch that we’d present to multiple panels of judges before the final round. If we made it to the finals, we could potentially be rewarded with a cash prize that would allow us to continue developing our idea. For us, that idea was Clutch, an app that combats texting and driving through a reward based system, using discount codes and gift cards as incentives. Our app is targeted at parents, due to the fact that they statistically have more difficulty using cell phones, which can lead to distracted driving. The idea that was when parents were driving, they’d activate the app by opening it, and would rack up points by not using it while they were going above 15 miles an hour. Our hope was that parents, in turn, would influence their teens and family members to join up and compete for rewards, too. The competition served a greater purpose as well. In addition to potentially winning a large cash prize that we’d use as an initial investment in our ideas, we got to learn the art of pitching quickly and effectively. In just four minutes, half of us were expected to present all of our findings, including things that we learned from our parent oriented survey as well as all the businesses that said they’d be initially be willing to partner with us. Then, the other half of our team would take on the short Q&A to tie up any loose ends. In the past, businesses are traditionally created by making a formalized business plan. However, our business model needed to reflect our 21st century style solution: an app. So instead, we used the new business model canvas that allowed us to identify our problem, solution, costs and customer segments (those who’d buy our product) all within one simple sheet of paper. The idea was that because businesses change through time, no 10 page document was ever going to set us up for success. The Business Model Canvas simply aligned what we were trying to do and maintained flexibility that entrepreneurs so desperately need. Of course, this is One Stone: we never do things halfway, so we came to the challenge extremely prepared. The initial rounds of judging went well– then came the finals, where we were put up against 4 other teams in our category and asked to present in front of everyone attending the competition. With minimal warning time, of course. The closing of our presentation, though, was our winning line.